Update: Since publishing this post, I’ve learned that Windows 10 already has this. Perhaps it just doesn’t work as well without WizMouse, which is why I may not have noticed it while trying it out. As someone who works at a computer all day, I’m always on the lookout for apps and tweaks that can improve my desktop experience. When I switched from the laptop I’ve been using for nearly three years to an all-in-one that I’m reviewing this week, I noticed just how badly I missed a free 550KB tool that’s saved me hundreds of thousands of clicks over time (no, really, I did the math). WizMouse detects when your cursor is on top of a scrollable window or section in an app, and lets you scroll through it without having to click first. For example, say you’re in your Gmail inbox; if you want to scroll through your Hangouts contacts in the left sidebar, you’ll need to click in that area before you can wheel through them. WizMouse saves you that click, and does so across apps and web pages. It may not sound like much, but once you try it, you simply can’t go back to clicking on areas before scrolling, like a neanderthal. I find it especially useful when working in WordPress: there are so many fields to scroll through – such as the article body, and the lists of categories and sections – before I can publish a post, and it’s nice to not have to aim and click in those areas every time. It’s also great for scrolling through content in multiple windows, as you don’t have to switch focus from one to another by clicking on it. So if you’re reading a web page while taking notes in a text editor, you can scroll through the page in your browser while the text editor stays on top – no extra clicks necessary. Windows already includes a handy ‘Snap To’ option for mice, which places the pointer to the default button (like ‘OK’) every time a new dialog box pops up; WizMouse’s functionality would certainly complement that nicely. You can get WizMouse at no charge from this page (it’s old, but it works just fine on Windows 10); there’s a portable installer if you need it, and also options to reverse the scrolling direction, as well as to bring the window you’re scrolling in to the foreground, and even to hide the system tray icon entirely. 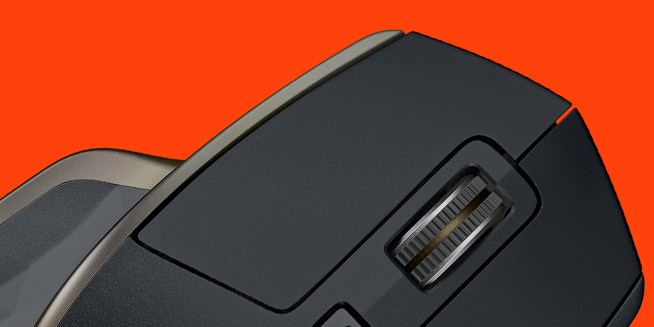 And if you’re interested in improving your computing experience, consider picking up a half-decent mouse too.